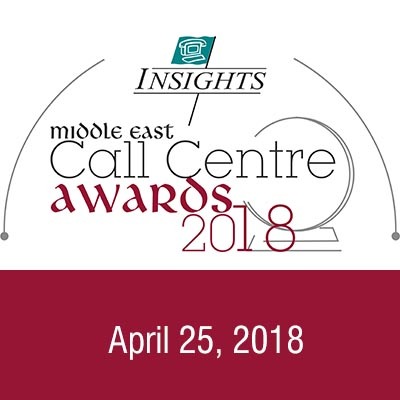 The annual INSIGHTS Middle East Call Centre Awards completion reaches its climax on April 25th when the winners will be announced and, in a major innovation to this year’s event, the first new “Problem-Solver” Awards winners will be announced. (PS Awards replace Areas of Expertise for 2018). Due to the simplified process involved in preparing a Problem-Solver submission, the Problem-Solver part of the competition, is open until March 28. According to INSIGHTS, most call centres have done something that is both unique and that they are really proud of. Furthermore, the problem and the solution can be easily explained in a 15 minute Powerpoint-type presentation – this is the essence of competing for a Problem-Solver Award. With such a low level of effort required to pull something like this together there is no reason (and there is still time) to not get involved. Oh, yes one extra thing. The best Problem-Solver solutions get to present at the MECC ’18 conference itself, and conference attendees themselves on the day will decide if the Problem-Solver entrant deserves an Award.